Visiting critics participate in the academic life of the department and, while they may be asked to take on a variety of activities, their principal responsibility is to share their unique expertise with students and faculty. Visiting critics may be asked to teach formal courses or present specialized lectures. The visiting critic title is used primarily by the College of Architecture, Art and Planning and those departments in the College of Arts and Sciences concerned with performing and literary arts. Visiting critics need not hold an academic appointment at another university; individuals appointed to this title often are practitioners such as architects, artists, musicians, or writers. Appointment to the “visiting critic” title is exempt from affirmative action regulations. Appointments of visiting critics can be made either with or without salary for as little as several weeks or up to one year, renewable up to a total of three years, irrespective of departmental affiliation. Appointments, whether paid or unpaid, must be assigned a percentage of effort, as visiting critics are eligible to purchase endowed health and accident insurance if they are appointed at least half time for one semester (i.e., a full sixmonth period or the four and one-half month academic semester). Department chairs must ensure that offer letters to visiting critics describe in detail those departmental, college, or university resources that can be expected while at Cornell, e.g., staff support, office or research space, funds for supplies, computer time, long-distance telephone service. Visiting critics ordinarily hold advanced degrees and are well established in their discipline. The title should not be used to appoint external graduate students, either foreign or American. In exceptional circumstances and when the department chair makes a strong case, the dean may authorize the appointment of an external graduate student if the student will contribute to, rather than take from, the department’s academic program; the appointee is not permitted to enroll in classes, graduate or undergraduate, or to receive course credit. A foreign student already in the United States on a student visa sponsored by another university cannot be appointed as a visiting critic at Cornell unless all degree requirements have been completed and the visa has been extended for “practical training.” Before issuing an offer letter to any foreign graduate student the department chair should contact the International Students and Scholars Office www.isso.cornell.edu. 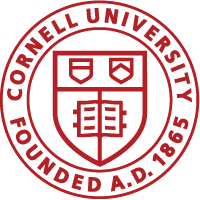 Cornell graduate students cannot be appointed as visiting critics unless all degree requirements have been met.